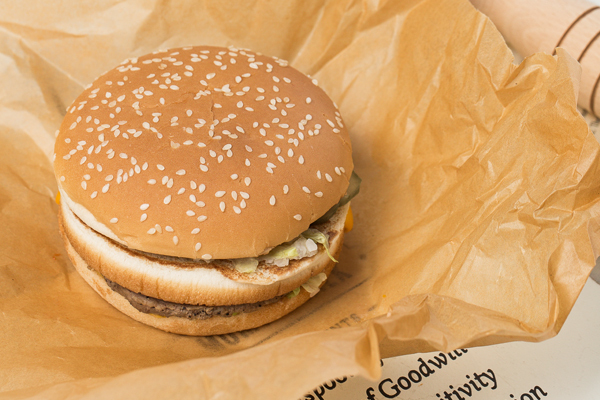 Hamburger/Sandwich Paper is made of 100% virgin wood pulp by using food-processing techniques. It’s soft, emi-transparency and perform well at greaseproof.So it is perfect for food wrapping. As for its weight and size, it can be customized according to customer’s requirement. Also, if you need print your brand and logo on paper. We make sure that the ink we use is environmently and food grade, no fade and no harm to people. Our hamburger paper wrapper can be customized to meet the different requirements for its weight and color. We can also print particular pattern or logo based on your demand. We make sure that all the ink used is environment-friendly, food-grade one. And the effect of printing is guaranteed. Besides, Guanglian Company has obtained QS and ISO9000:2008 certificates, as well as FDA inspection report for our hamburger paper. If you're interested in this paper, please contact us freely.